It is basically a labour of love and has taken a fair bit of time just to research and set up. 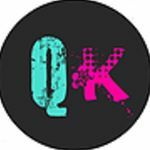 “QK” tells me it is also a work in progress as they are currently working on a revamp and ensure the site works as well on mobile phones and tablets. Since its launch in just a few weeks it seems to have had in excess of 5000 visitors and is increasing rapidly but it is the content that is what makes this site rather fascinating and for me it seems like a lifetime of trying to be “Quirky” is finally being recognised. The site has assorted sections e.g. Quirky Dates & Adventures everything from the Panic Room in Gravesend – my daughter has been several times and absolutely loves it to what “QK” informs me is a real bargain from Lydd Aero Club where you can take a private plane with pilot and two friends (Subject to weight restrictions) and have a half hour flight from as little as just a tad over £30 per person depending on time of year and who your pilot is!!! There is also a section on Quirky Accommodation that has everything from sleeping on Safari at Port Lympne Zoo to a Romantic Tree House at Blean complete with Hot Tub! We sit in the section Quirky Bars & Eating Out, I love the idea of Playopolis Cafe in Rochester where you can choose from over 500 different board games to a bang on trend converted shipping container Spitfire Cafe located in Hythe where there is a very personal collection of WW1 & WW2 memorabilia. Speaking at length to “QK” they have some great plans for the site but are keen to only highlight the very quirkiest of places within the county… we are proud as punch to be featured and we are keen to develop a further relationship with them and look forward to actually meeting with them and perhaps even hosting a totally exclusive “Quirky Event” with perhaps some rather “quirky food” so watch this space… do head over to their site and explore a little further as we aim to do just that as well!